Slovene or Slovenian? 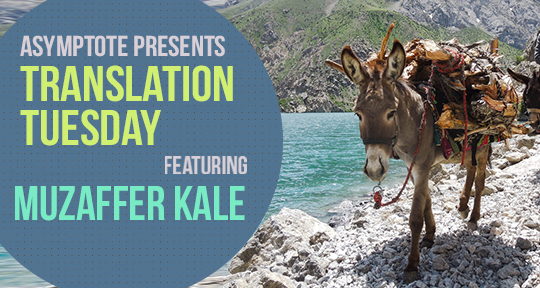 Close Approximations' 2019 fiction winner Olivia Hellewell weighs in. 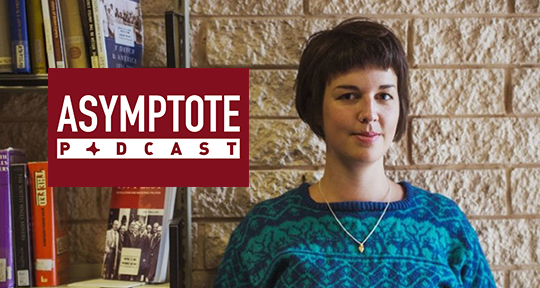 Podcast editor Dominick Boyle speaks with translator Olivia Hellewell, whose stellar translation of an excerpt from Katja Perat’s The Masochist earned her first place in the fiction category of our 2019 Close Approximations Contest and $1,000 in prizes. Set in an impeccably researched past, the novel gives Leopold von Sacher-Masoch—the (in)famously eccentric aristocrat after which masochism is named—a fictional daughter. The excerpt, featured in our Winter 2019 issue, depicts protagonist Nadezhda Moser as a woman of powerful wit and will to address issues that resonate with the present day. Dominick and Olivia sit down to discuss what drew Hellewell to translate from the Slovenian, what it’s like to translate from a language with a smaller stature on the world stage, and more. And what on earth could that mean, to only want some water? After Flavia Teoc took us to ancient Constantionople last week, I’m thrilled to present two microfictions by Turkish writer Muzzafer Kale. Deceptive in their outward simplicity, these perfectly poised stories hinge on the unsaid and work beautifully in English thanks to translator Ralph Hubbell’s precise language. I wasn’t from that mountain village. What brought me there was work, and by work I mean looking at carpets and kilims. There were plenty of people from the village that I knew. So we were sitting in the July heat, trying to cool ourselves off in the shade of a walnut tree—me, Ibrahim and Lazy-Eyed Salih. And then she appeared, with her donkeys, coming off the mountainside path. She’d loaded the animals piecemeal with some sagging goods, which swung all over the place. It is never easy to translate a founding figure in a literary field, let alone a pioneering writer who has been translated by influential translators before. Such is the tricky task assigned to Darryl Sterk of translating Loa Ho’s (賴和, “Lai He” in Mandarin Chinese pronunciation, 1894–1943) complete fiction collection, which includes twenty-one novellas composed by the “Father of New Taiwanese Literature.” Entitled Scales of Injustice and freshly published in May 2018 by the London-based publishing house, Honford Star, the book features Loa Ho’s fiction in Sterk’s brand new translations from vernacular Chinese, Japanese, and Taiwanese (the “Taiwanese varieties of ‘Southern Hokkien’,” as explained by the translator) into English. The mixed use of languages in Loa Ho’s writing reflects the historical background in which the Hakka author lived when Taiwan was under Japanese colonial rule. While Japanese was the official language, Taiwanese people with Minnan heritage still spoke Taiwanese at home, even as the Japanese government enforced an assimilation policy around 1937 and banned the use of Taiwanese island-wide. The use of vernacular Chinese in Loa Ho’s fiction, on the other hand, stemmed from the New Literature Movement in China. In addition to Japanese and Taiwanese, Austronesian languages were spoken by the aboriginal peoples. Our Section Editors pick their favorite pieces from the Summer 2018 issue! “2501 Migrants by Alejandro Santiago” is a powerful meditation on the US-Mexico border, compellingly written by Cristina Rivera Garza, and beautifully translated by Sarah Booker. Rivera Garza writes gracefully about sculptures made by Oaxacan artist Alejandro Santiago and his team. Each of these clay vessels contains the spirit of a migrant who, having tried their luck at crossing the border, now stands in mute testimony to the absences and deaths that striate both America and Mexico. In this essay, Rivera Garza explores the multi-faceted meanings of these sculptures and uses them to explore the intricacies of the border-condition—the nostalgia of those who leave Mexico, and the melancholy of those who remain. At this juncture in American history, I can think of no more valuable essay to read today than this one. These words cannot just exist in a vacuum; they provoke reactions that demand political change. 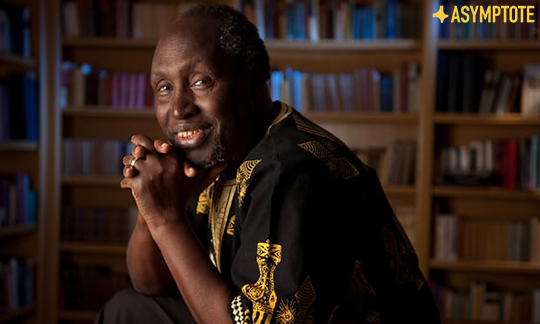 Ngũgĩ wa Thiong’o was born 5 January, 1938 in Limuru, Kenya and is a perennial favourite for the Nobel Prize in Literature. Ngũgĩ is at the forefront of a war of resistance regarding the use of language that has spanned many decades. He advocates that African writers write in their mother tongues, because he understands how integral language is to a culture and its identity. Since African literature is mostly written in languages of the minority, the language of the colonizers, Ngũgĩ asserts that this choice stifles the imagination of Africans and their propensity to be creative. Nearly fifty years ago, Ngũgĩ wrote his first novel, Weep Not, Child (1964), the first written in English by an Eastern African. Ngaahika Ndeenda (1977), translated as I Will Marry When I Want, was co-written with Ngũgĩ wa Mirii. It is a play that depicts the injustices and excesses of post-colonial Kenya. It was acted by “non-intellectuals” in an open-air theater at the Kamirithu Educational and Cultural Center, Limuru. Ngũgĩ’s Gikuyu play sought to bring the theatre closer to the masses and encourage the audience to interact with the play. The play appealed to a wide audience and, because of the resultant reaction by people, the Kenyan government threw Ngũgĩ in prison for a year. International literary news for an international audience. Another week has flown by and we’re back again with the most exciting news in world literature! This time our editors focus on Central America, Germany, and Spain. Sadly, Centroamérica has been officially put on hold this year. After five years of unflagging work, the festival Centroamérica Cuenta, hosted each year across Nicaragua, has become the most significant and important literary gathering of the region, annually welcoming writers, journalists, filmmakers, editors, and translators from over thirty countries around the world. This year’s CC was scheduled to unfold May 21-25. However, since Nicaragua’s tense political situation that has taken the lives of so many civilians shows no signs of slowing down, the Centroamérica Cuenta committee has decided to suspend the festival until further notice. "Fiction at its finest”, as the Man Booker tagline describes its self-imposed mission. “A good reader, a major reader, an active and creative reader is a re-reader,” Vladimir Nabokov reminds us in his article “Good Readers and Good Writers”. There are so many books in this world, and unless your life revolves solely around books, it might be hard to be widely read and an active re-reader. Attaining this level of perfection that Nabokov describes is impossible, but the idea of re-reading as a tool to better understanding the value of a book underpins the philosophy of the Man Booker Prize International’s judging panel since its inception. 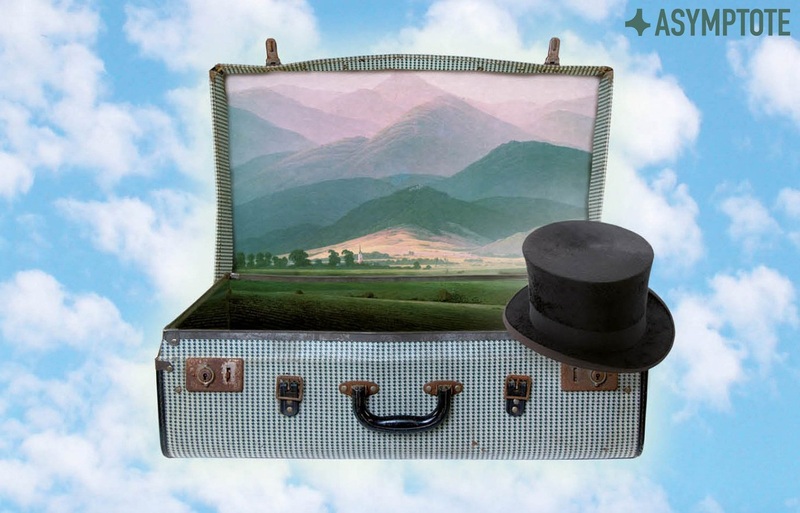 "Each language has its own tolerance to gravity—or to weightlessness." The Best Translated Book Awards longlist was announced yesterday, and it included Naivo’s singular novel, Beyond the Rice Fields. The first novel from Madagascar to be translated into English (from the French by Allison Charette), it comprises a narrative that unfolds like palm fronds. Set in 19th-century Madagascar, the narrative stem follows the evolving relationship between Tsito, a boy sold as a slave to a trader, Rado, and the trader’s daughter, Fara. Naivo (the pen name of Naivoharisoa Patrick Ramamonjisoa), who is also a journalist, pairs a reporter’s unflinching approach to storytelling with a poetic style and distinctive orality that stems from the Malagasy literary tradition. The story moves from the Madagascan highlands through the midlands to the country’s capital, Antananarivo, the ‘City of Thousands’, and even to England. Through it all, the concept of “frontiers”—between traditions, social classes, countries, and historical moments—is posed as a question: how do we close the interstices between beliefs, and the gulfs between each other? In Beyond the Rice Fields, Madagascar’s brutal history is revealed through individuals whose journey, relationship and thoughts are as important as the larger historical narrative, which sweeps them along, but is never in danger of sweeping over their story. In one instance, Fara’s grandmother’s tales dissolve into the outcome of the primary narrative. 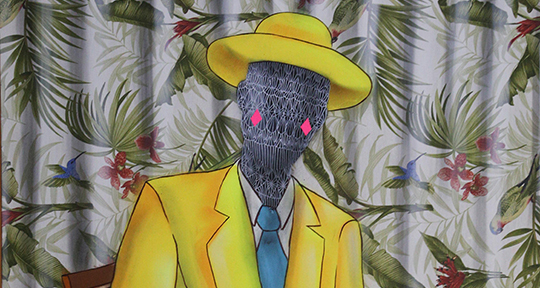 Here, the past is not viewed as finished, nor the present as momentary; rather, Naivo shows that the past is still with us, and that we are part of the past. This is evident even in his phrasing: the “evil red crickets” of an invading tribe; the juxtaposition of terms like “judge” and “earth husbands” within the context of a trial-by-poison. Although Naivo paints the march of time as implacably brutal, his is not a moral nor critical view of history; crimes are committed—in the name of both tradition and progress—but what is more important is what endures: love, nation, storytelling. Asymptote spoke to Naivo and Charette about inspiration, the process of writing and translation, and the literary scene in Madagascar. Alice Inggs: Allison, How did you come across Beyond the Rice Fields and how did you come to translate it? Allison M. Charette: Back in 2013, I randomly found out that no novels from Madagascar had ever been translated into English. I decided to help fix that, and ended up traveling there the next year to meet authors, learn the culture, and acquire books. Beyond the Rice Fields was one of the thirty-some-odd books I brought home, but it was a particularly good one: it had been recommended to me by a couple of booksellers and several authors, who all called it one of the best literary debuts they’d ever seen. I read it and loved it, so it was one of the top 5 novels that I wanted to start shopping around to American publishers. I was fortunate enough to receive a PEN/Heim grant for it in 2015, which is how Restless got interested. And the rest, as they say . . .
"There was a desperate need for faith so that all this activity would really have some meaning." 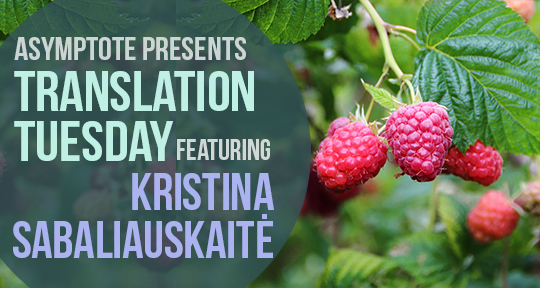 For the second Translation Tuesday in a row, we are proudly featuring an author from Lithuania—not just for their excellent writers, but because the Baltic countries are is this year’s Market Focus at this year’s London Book Fair. This excerpt is by one of the country’s most lauded authors, Kristina Sabaliauskaitė, from her four-part historical novel, Silva Rerum. The novel gives us a panoramic sweep of history from 1659 to 1795 in narrating the generations of a noble family, the Narwoyszes. In Lithuania, the series has been a literary sensation on the level of Knausgaard in Norway or Ferrante in Italy. This excerpt, a seriocomic episode about the death of a beloved cat, provides us with a taste of what Sabaliauskaitė’s talent has in store for the world. This showcase is made possible by Lithuanian Culture Institute. On that hot July in the year of Our Lord 1659 Kazimierz and Urszula Narwoysz saw death for the first time. Even though death was all around them, the twins in the tenth year of their lives looked directly into its grey mutable face for the first time and that confrontation which lasted but a few moments, it could be said, decided their fate. Everything had started several weeks before, when their beloved tabby Maurycy died, a well-fed creature, their companion from the cradle who, keeping his claws retracted, like a Stoic, suffered all their pranks with patience. Even their favourite prank where one of the twins would hold it tight, while the other pulled on its tail. Caught unawares, Maurycy obeyed nature and, forgetting the forgiveness of felines to small children, struggling fiercely, would scratch the one holding it. Most often it was Kazimierz who would feel the brunt, since it was Urszula who had the miraculous ability to put on an angelic face and ambush the cat by pulling on its tail; sometimes, amusing themselves, they would tie something that made a noise to its tail and wrap the unfortunate pet like a babe in swaddling clothes. The last time was when they took things too far: without anyone seeing them and exercising great caution they wrapped Maurycy up and changed their newborn sister lying in her cradle with him. The wet nurse, on seeing the cat wrapped up, began to scream in a voice not her own, while the twins fell around and shrieked with laughter, and later they themselves were screaming in voices not their own while being thrashed, this dangerous prank causing even Jan Maciej Narwoysz to lose his normally unshakeable patience. The increasing need to understand the importance of translation in our globalized world manifests in works of fiction that feature a translator. In our globalized world, translation seems to be everywhere. In subtitles, instructions, signs, menus, in meetings, and walking down the street. And recently, in fiction too. The representation of the act of translation and the task of the translator has become a recurrent topic in literature. In English, novels such as Idra Novey’s Ways to Disappear and Rachel Cantor’s Good on Paper, both from 2016 and with translator protagonists, were very well received by readers as well as critics; and the latest anthology Crossing Borders, edited by Lynne Sharon Schwartz, brings together stories on translation and translators by acclaimed writers such as Joyce Carol Oates and Lydia Davis, among others. Translation was even at the center of the Academy Award nominee film Arrival (based on Ted Chiang’s short story “Story of Your Life”) in which Golden Globe nominee Amy Adams plays a translator tasked with communicating with heptapod aliens. The increasing need to understand the importance of translation in our globalized world has manifested in a recurrence with which works of fiction feature a translator or interpreter as the main character. In Spanish, too, there have been dozens of novels with translator protagonists written in the last few decades by both mainstream and cult authors, and by both translators who write and writers who translate. With this newly found interest in translation, more and more of these novels are being translated into English. Here are five novels on translators originally written in Spanish that are available to read in English translation. The most exciting world literature news—all in one place. 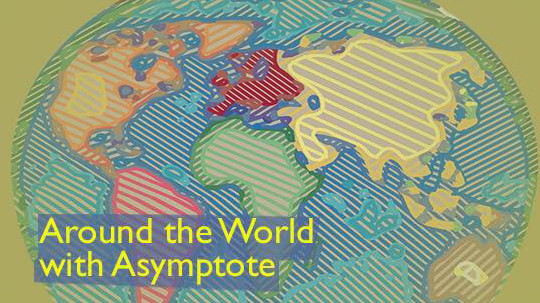 It’s Friday and that can only mean one thing at Asymptote: reports of exciting developments in the world of literature. This week our focus falls on a diverse set of countries, including Tunisia, Hungary, and Hong Kong. In just a few short weeks, the 34th edition of Tunis’s annual Book Fair will begin, where numerous prize winners will be announced, including the winner of the newly created Prize for Literary and Intellectual Creativity, or prix de la créativité littéraire et intellectuelle. However, if you’re itching for activity now, don’t fret, there are numerous literary events taking place throughout Tunisia in the meantime, with a special focus on young writers and readers. Specifically, the 10th annual Festival of Storytelling, organized by the Tahar Haddad Cultural Association in Tunis, has already begun and will continue until March 25th. The festival is dedicated to preserving Tunisian oral traditions, as each day it presents a storyteller, or حكاوتي, who brings to life tales taken from regional oral literature. Similarly, the literary association “Above the Wall” (فوق السور), created for young writers, will host its 10th annual assembly on March 20th and 21st in Benzart, one of the northernmost cities in Tunisia. "Non-European works included in the longlist come highly recommended by readers and critics alike." 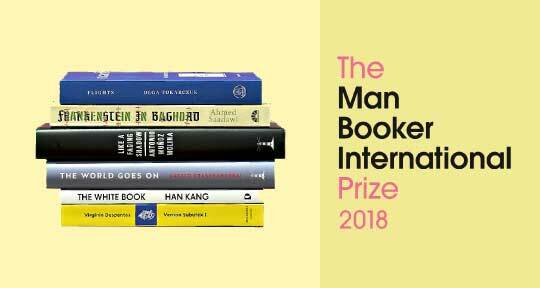 The 2018 Oscars may be over, but the awards season for the literary world has barely begun, with the Man Booker International Prize receiving the most international attention. 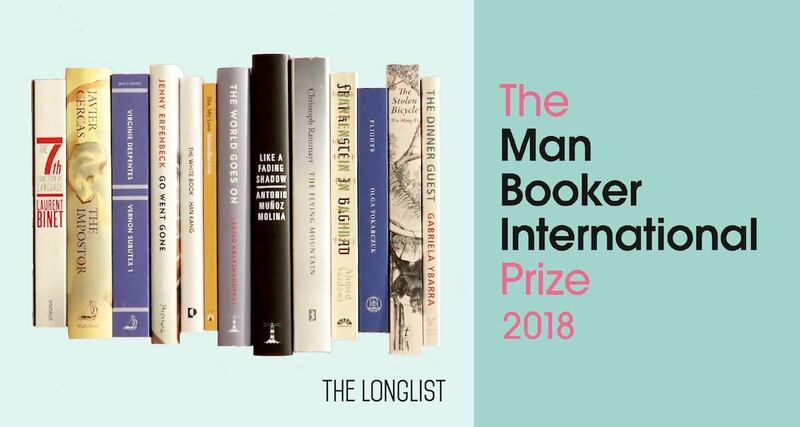 In the world of translated fiction, the Man Booker International holds a prestige similar to the Oscars, which explains the pomp and excitement surrounding the announcement of this year’s longlist, made public March 12. 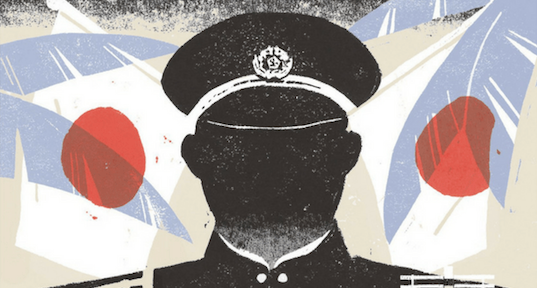 The longlist includes thirteen books from ten countries in eight languages, from Argentina to Taiwan. The MBI used to be a career-prize akin to the Nobel, awarded to a non-British author for his or her entire body of work every two years. Since its merger with the Independent Foreign Fiction Prize its format has changed. Now the Prize seeks to honor the author and translator of the best book (“in the opinion of the judges”) translated into English and published in the UK for the eligible period. For 2018, all eligible submission were novels or short story collections published between May 1, 2017 and April 30, 2018. Much like its sister prize (known simply as the Man Booker Prize), the winner of the MBI tends to garner much attention and sees a boom in book sales. Its history accounts for its prestige, but just as importantly, the MBI is one of the few prizes out there that splits the monetary value of its prize between the writer and translator. Bringing you the latest in world literature news. Never is there a dull period in the world of literature in translation, which is why we make it our personal mission to bring you the most exciting news and developments. 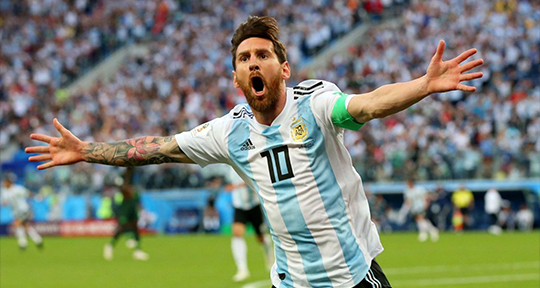 This week our Editors-at-Large from Mexico, Central America, and Spain, plus a guest contributor from Lithuania, are keeping their fingers on the pulse! On February 21, numerous events throughout Mexico took place in celebration of the International Day of Mother Languages. In San Cristóbal de las Casas, Chiapas, CELALI (the State Center for Indigenous Language and Art) held a poetry reading featuring Tseltal poet Antonio Guzmán Gómez, among others, and officially recognized Jacinto Arias, María Rosalía Jiménez Pérez, and Martín Gómez Rámirez for their work in developing and fortifying indigenous languages in the state. Later in San Cristóbal, at the Museum of Popular Cultures, there was a poetry reading that brought together four of the Indigenous Mexican poetry’s most important voices: Mikeas Sánchez, Adriana López, Enriqueta Lúnez, and Juana Karen, representing Zoque, Tseltal, Tsotsil and Ch’ol languages, respectively. Sánchez, Lúnez, and Karen have all published in Pluralia Ediciones’s prestigious “Voces nuevas de raíz antigua” series.